If your tooth is knocked out, shifted out of its normal place, broken, or otherwise damaged, you need an emergency dentist for fast help. 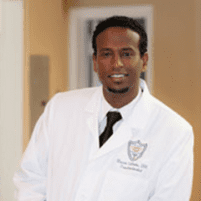 Mussie Sibhatu, DDS, MS, and the skilled dental care team at Laurel Smile Dentistry in Oakland, California, are always ready to help when you’ve got an urgent dental issue that needs attention now. Get in touch now through the online tool or by calling the office. These are only some of the many dental emergencies possible. If you're not sure whether you need emergency dental help, call Laurel Smile Dentistry for guidance. When should I go to the emergency room instead of the dentist? If you're dealing with a dental emergency that's life-threatening, proceed to the nearest emergency room right away or call 911 for emergency help. If it's life-threatening, don't take any chances! If your tooth or your child's tooth was knocked out during an accident, time is of the essence. Pick up the tooth, touching just the crown. If it's dirty, you can rinse it off but don't use anything other than plain water. Try to put the tooth back in its natural place, and then hold down gently for five minutes. Don't press down firmly enough to cause further pain. If you can't put the tooth back, or you're worried about accidentally swallowing it, drop it into a cup of milk (ordinary vitamin D cow's milk). Milk shares some chemical properties with your natural teeth, so it's a good preservation agent in a pinch. However, your tooth won't live in milk forever. The American Association of Endodontists recommends seeing the dentist within half an hour after the tooth is knocked out. How can I relieve tooth pain in an emergency situation? If you've got severe tooth pain, get to Laurel Smile Dentistry as soon as possible. You can use a cold compress on the outside of your jaw to numb the pain. Don't try to eat or drink anything, as this can aggravate your tooth and make the pain worse. 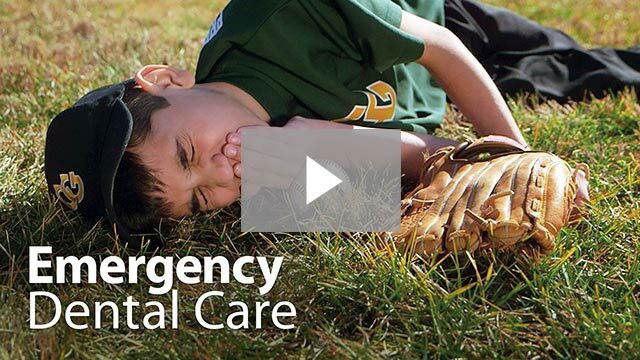 Reach out to Laurel Smile Dentistry for your dental emergency. Get in touch through the online tool or by phone now.